Collegiate Members - Officer Resources - Commander - Sigma Nu Fraternity, Inc. Welcome to the General Fraternity Resource Page for the Office of Commander. As Commander, there are numerous duties and expectations placed upon you. Fortunately, for all of these responsibilities, there have been just as many resources created aimed at assisting you meet them. This webpage consolidates the many resources pertinent to your specific position in order to provide a 360 degree view of what tools are available. It is recommended you take the time to review the resources on this page shortly after election, as it will help you better prepare as Commander. Throughout your tenure in this position, you will undoubtedly be faced with some difficult challenges. Trust that this webpage will serve as an easily accessible source to help you meet those challenges. Good luck! These resources pertain to the specific duties of your position. It is recommended that you start by reviewing your officer manual, as all other links on this webpage stem from the information in the manual. The Law of Sigma Nu Fraternity, Inc. The Law is the Fraternity's constitution. It sets membership requirements, standards of conduct, and the framework for the operation of all entities of the Fraternity, including collegiate chapters. The Law also includes the Trial Code - a set of due process rules and procedures for disciplining initiated members. Along with The Law of Sigma Nu Fraternity, Inc. the Risk Reduction Policy and Guidelines provides our constituents with specific policies on areas such as the education of initiates and candidates, activities of the chapter, premises of the chapter and hazing. This quick reference sheet covers regular paperwork and billings chapters need to turn in to the General Fraternity. Major events are also included. A tutorial on correctly and effectively utilizing the Trial Code. A visual, step-by-step guide to properly completing Trial Code procedures. This document combines the Notice of Complaint and Trial Notice needed for the completion of Trial Code procedure. An overview of the Members Area for the Commander, Recorder, and Treasurer. This document includes instructions for each of the Members Area functions the Commander, Recorder, and Treasurer control. More specific how-to instructions for updating the chapter’s roster and other information can be found in the documents below. Step-by-step instructions with website screenshots make updating the roster easy. Step-by-step instructions with website screenshots make updating the chapter's officers easy. Step-by-step instructions with website screenshots make verifying candidates easy. Step-by-step instructions with website screenshots make verifying initiates easy. Although not directly related to the expectations of the position, these resources can help you execute them. This resource explains the basics on earned media, or the practice of getting reporters and news media outlets to cover your chapter's events and accomplishments. From philanthropy events to innovative LEAD sessions to recruitment milestones, generating positive media coverage begins with mastering the press release. Many of the most important decisions a chapter must make do not necessarily present themselves in a formal chapter setting, but rather on the weekends or during special campus sporting and alumni events. How to handle situations that could potentially alter the future of a chapter and its members is a pressing issue. This collection of "white papers" addresses common alcohol-related topics and instances that chapter leaders and members face on a potentially regular basis and at most, if not all, colleges and universities. Leadership rules to live by from Lynn Little. Introductory strategies for sharing the workload, empowering others, and getting things done. This resource offers an interactive, online program – Behind Happy Faces Advisor Resource Series – to equip officers and volunteers with an understanding on how to care for the mental health of themselves and their members. The Advisor Resource Series is comprised of five 5-10 minute online modules that can be completed in one setting or spread out over as many sessions as you would like. The following resources exist support the chapter in the strategic planning process. This resource provides initial guidance and support for the Chapter Strategic Plan Template and the 10 PEP Action Plans. The overview provides resources for developing a strategic plan and creating S.M.A.R.T goals for a chapter's operations. This resource serves as a helpful guide for the development of your chapter's strategic plan. This template serves as a complement to work completed through the PEP Strategy Session and the Strategic Planning LEAD Session. PEP: Action Plans - The following PEP: Action Plans were created to support chapters in developing a comprehensive plan for achieving Excellence in each of the 10 subcategories of the Pursuit of Excellence Program. Each plan facilitates the establishment of officer and committee responsibilities, goals, and operational strategies. The Commander and Lt. Commander should work with the chapter's officers to ensure that each action plan is completed by the appropriate officers and committee members and that they support the mission, vision, purpose of the chapter's overall strategic plan. *Action Plans for the subcategories of Values Congruent Environments, Candidate Development, Brother Development, Chapter Operations, and Governance and Accountability are still in development and will be made available as soon as possible. 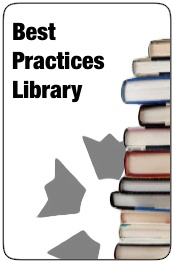 This library includes activities, programs, processes, and practices that result in or lead to excellent performance. Practices were collected from Sigma Nu chapters across North America of every size, institutional type, and region of the country. The best ideas and practices that could and should be replicated by other chapters are found here. The library allows users to sort through over 400 ideas, examples, and templates. Best practices are sorted by area of operations (as defined by the Pursuit of Excellence Program) and subcategorized by type (e.g. accountability ideas, events, finances). Quick access to the All Chapter LEAD session and resources. What you need to know to have your members participate in this proven effective course. Members will experience a personalized, confidential experience that addresses healthy behaviors and to effectively deal with the behaviors of their peers. Answers to everything GreekLifeEdu – what it is, who should complete it, when it needs to be completed, how the chapter will benefit, and details about the financial incentive policy. Everything you need to understand the program and put your chapter on the road to excellence. College of Chapters is an intense, interactive program for our collegiate chapter Commanders focusing on chapter management, leadership and core competencies. Registration deadlines are in November/December. College of Chapters takes place January 3-6 in Roanoke, Va.
A copy of the manual each participant received at College of Chapters. Includes the core and chapter curriculum each participant experienced, as well as supplemental notes to some of the breakout program offered at College of Chapters. The manual also includes the information and activities that led each participant in their development of a vision (why), strategy (how), and goals (what), for their term in office. Use this presentation to get your executive team and/or chapter up-to-speed on how to craft a vision for the chapter or their position. Use this presentation to teach officers and committees how to move from current situation towards achieving the vision. Use this presentation to educate members on General Fraternity billings and assessments as well as how the chapter should be planning its budget each term. This presentation covers the basics of setting and achieving S.M.A.R.T. goals. A condensed presentation on The Law of Sigma Nu Fraternity, Inc. and Sigma Nu’s Risk Reduction Policy & Guidelines. This presentation could be used to train officers/members on sections of The Law most relevant to chapter operations and how to successfully implement important policies in order to plan a safe event. This presentation covers the basics of accountability and how to use honor boards and the Trial Code. Some helpful reminders on how to take your action plan and the other things you learned and committed to at College of Chapters back to your chapter to develop buy-in and consensus among your officers and general membership. The Law is the Fraternity's constitution and governs Sigma Nu Fraternity, Inc. 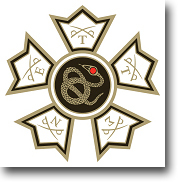 It sets membership requirements, standards of conduct, and the framework for the operation of all entities of the Fraternity, including collegiate chapters. The Law also includes the Trial Code - a set of due process rules and procedures for the discipline of initiated members.